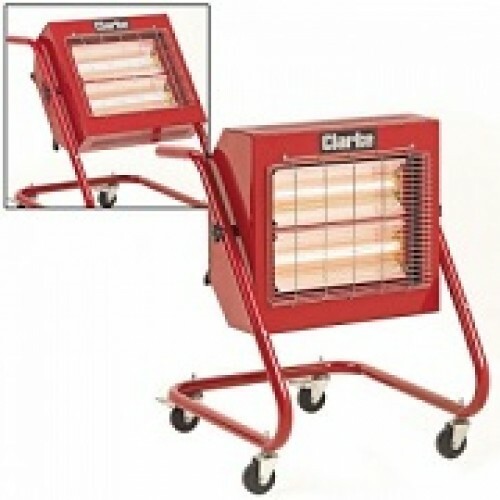 These industrial style halogen heaters from Clarke great value for money, and are extremely portable thanks to their large castor style wheels. If you have draughty areas to heat halogen infra red heaters are the ideal solution, as none of the heat is lost as it travels by light waves. This is the 230V version model 370SP. The main heater body can be swivelled to give precise heating to an area. 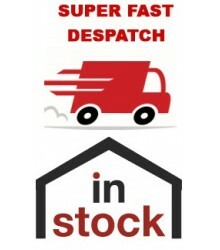 The unit also has two heating outputs where either 1.5kw or 3kw heating output can be selected.